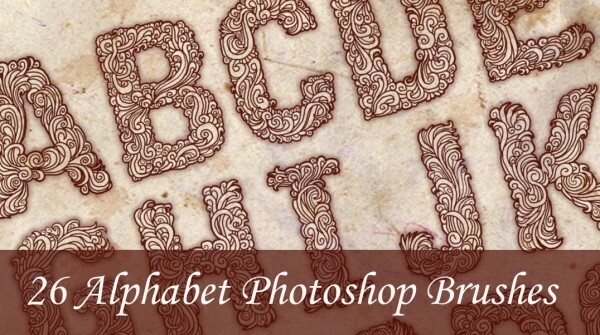 This week’s amazing freebie for our loyal readers is a set of Alphabet Photoshop Brushes which are perfect for adding a unique style on fonts in many design projects. The collection features 26 abstract floral designed uppercase letters. These are perfect for designing book covers, movie posters, letter-cut stickers, website headers and a lot more! Just click the download button below and use this amazing set for free! Enjoy! EDIT: The lowercase version of the brushes can be found here. Download this set of brushes. Click the button below. Share us your thoughts and suggestions by leaving a comment below. Stay awesome everyone!